Tigers Football is pleased to have a medical and physiotherapy team which rivals that of other programs. A graduate of Dalhousie University School of Physiotherapy, Lisa has over 30 years experience as a physiotherapist in orthopaedic and sport injuries. She has participated in many sports, including competitive swimming, varsity volleyball at Acadia University, triathlon half-ironman, and have run over 60 marathons including 18 Boston Marathons. Lisa and her clinic, Wag Physiotherapy, has supported the Dalhousie Tigers Football team for the last nine seasons. She is a member of the Canadian Physiotherapy Association (CPA), and the Nova Scotia College of Physiotherapists (NSCP). Each year, Lisa has a team of 10+ physiotherapy and kinesiology students that act as full-time trainers for the team during games and practices. Since 2017, orthopaedic surgeons and Dalhousie University professors Dr. Ivan Wong, Dr. Catherine Coady and their medical trainees support Dalhousie Football through coverage of games and practices. 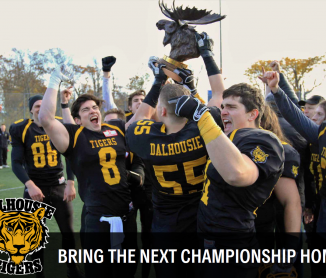 Dalhousie Tigers Football players receive the best care there is to offer with Drs. Wong & Coady. Dr. Ivan Wong is an Associate Professor at Dalhousie University, and an Orthopaedic Surgeon at the QEII Health Sciences Center in Halifax, NS, specializing in hip, knee, and shoulder arthroscopy. He is devoting his career to his patients by constantly striving to innovate and make procedures less invasive, with smaller incisions, less pain, and shorter downtime. He is committed to advancing his field of specialty. He has helped to train medical students, residents, fellows in sports medicine, as well as orthopedic surgeons in sports medicine and arthroscopic procedures around the world. Dr. Wong grew up in Prince Edward Island and graduated from Acadia University. 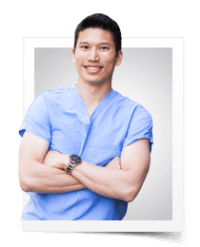 Dr. Wong went on to complete his Medical Degree at Dalhousie University, Orthopaedic Surgery Residency at McMaster University and Fellowship in Sports Medicine and Trauma at the Southern California Orthopedic Institute in Los Angeles. Dr. Wong more recently completed a Masters in Academic Medicine at the University of Southern California focusing on surgical skill translation from model to operating room. Read more about Dr. Wong at his webpage. Catherine M. Coady is a full time Assistant Professor of Orthopaedic Surgery at Dalhousie University. She completed her medical training at Dalhousie University School of Medicine in 1990 and completed specialty training in orthopaedic surgery in 1995. Dr. Coady completed a 6-month sports medicine fellowship with Dr. WD Stanish at Dalhousie University followed by a one year pediatric and adult sports medicine fellowship with Dr. Lyle Micheli in Boston, Massachusetts. Dr Coady joined staff at the QEII Health Sciences Centre and IWK Health Centre in 1997. Her main area of interests includes knee and shoulder problems with a special interest in arthroscopic surgery. She also treats children and adolescents with sports related injuries and fractures. 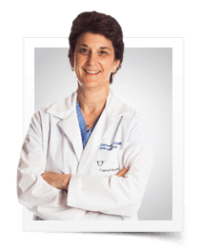 She is a member of Canadian Orthopaedic Association, Arthroscopy Association of North America, Canadian Academy of Sports Medicine as well as Canadian University Surgeons Education Committee and the Association for Surgical Educators.